I first came into Audubon Park Chiropractic in November, 2000. 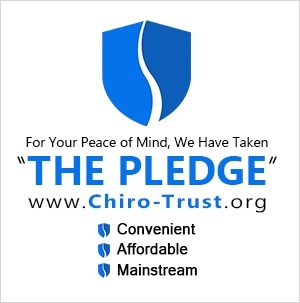 I had been experiencing headaches, neck pain, and low back pain. I was only getting approximately 3 hours of sleep per night. I had been being treated by a medical doctor and a physical therapist, but with no results. I saw an ad in the newspaper and called for an appointment. I have experienced great results – my aches and pains have subsided and I now sleep more soundly for 6-8 hours per night. As a result, I have a more positive outlook on everything. Thanks Audubon Park Chiropractic! I had been suffering with low back and neck pain for at least 5-6 years. I was told the cause was very old injuries and stress. I was in so much pain, I was taking strong pain pills daily and physical exertion would cause agony. I had been treated by medical doctors, physical therapy and another chiropractor. I only received minimal, short-term relief from my chiropractor and my physician gave me pain pills and told me I would “have to live with it”. I found out about Audubon Park Chiropractic when I saw their booth at the Home & Garden Show in October, 1999. In May 2000, I made an appointment. I have had excellent results and haven’t taken any pain pills since then. My life is back to normal. I sought treatment at Audubon Park Chiropractic in October, 2000 after attending a “Family Affair Consultation.” I had been suffering from neck and lower back pain and my hips hurt. I was taking pain medication daily. I had not seen anyone for these symptoms because at 50, I thought it was just “old age”. Since I began treatment, I have stopped taking daily pain relievers and have not had any migraines. It feels great! I want to share this with everyone! I had a lot of lower back pain, daily headaches and hadn’t slept through the night for over 20 years. I had experienced numerous falls and a car accident in 1994. I was taking Tylenol and ibuprofen daily. At the time of the car accident, I was on physical therapy and muscle relaxers. The therapy helped relieve the pain from the accident, but not the ongoing lower back pain. I learned about Audubon Park Chiropractic in April 1998 when I contributed to a food drive sponsored by the doctors and received a gift certificate. Now I don’t have daily headaches and am sleeping better. I still have a ways to go, but the lower back pain has subsided tremendously. I first came to Audubon Park Chiropractic in April, 2002. I had been suffering from severe headaches for approximately 5 years. They started out mild and infrequent and had progressed to the point where they were very harsh and happened almost every day. My medical doctor prescribed migraine medication to alleviate the headaches, but had never addressed what the cause might be. I was also having back pain, but the two problems had never been linked. I did not like taking drugs, so I saw a doctor who suggested chiropractic care. My Mom had had success with this, so I thought I would try it. At the time of my first adjustment, I was feeling horrible – I had a headache that the medication was not helping. About an hour after my adjustment, the headache was completely gone! I went out to dinner and felt great for the first time in months. Then I went four days without a headache and didn’t have to take any medication for over a week! I can’t remember the last time that happened.